The ETHERNET MCU card. 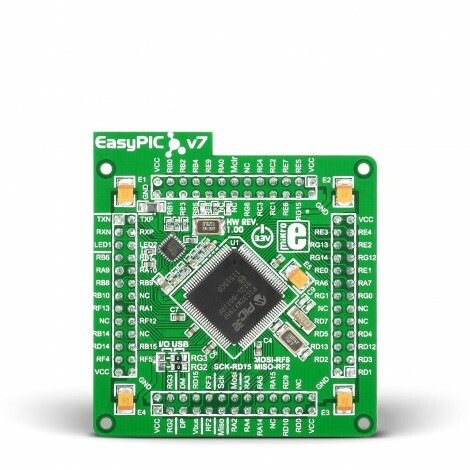 It contains PIC32MX795F512L microcontroller with on-chip peripherals and is a great choice for both beginners and professionals. 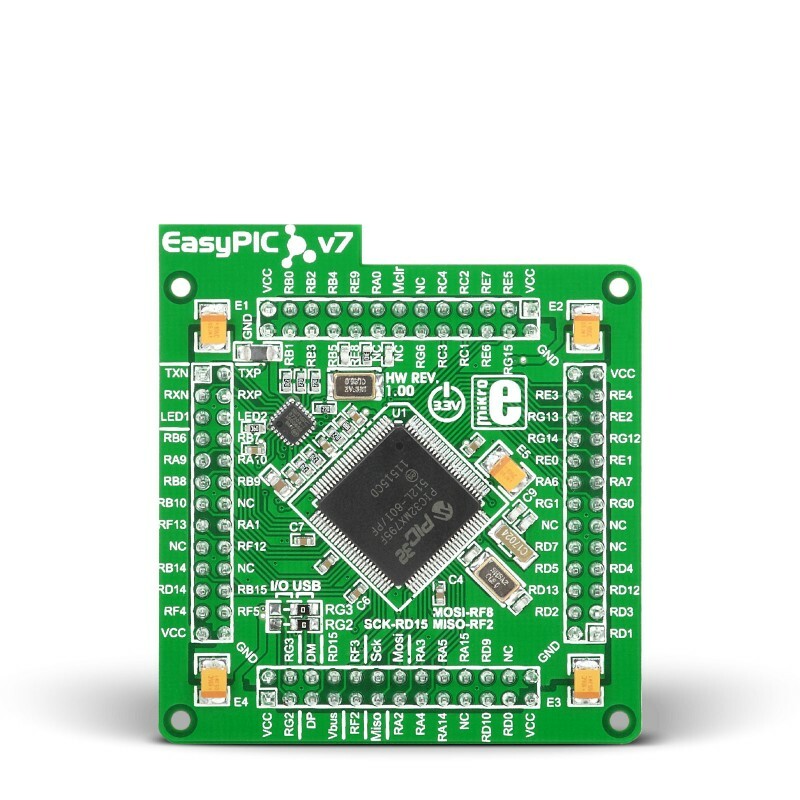 After testing and building the final program, this card can also be taken out of the board socket and used in your final device. PIC32MX795F512L has 80MHz maximum frequency, 512K bytes of program memory (flash), 128K bytes of data memory. It has integrated Ethernet controller, USB (OTG, Host, Device), 85 General purpose I/O pins, 5 16-bit timers, 16 Analog Input pins (ADC), 6 UARTs, internal 8 MHz and 32kHz oscillators, internal Real time clock (RTC), 5 I2C, 4 SPI and 2 CAN controllers. It also contains 3 analog comparators and two programming and debugging interfaces. USB communications lines. These two jumpers, when in USB position, connect D+ and D- lines of the on-board USB connector with RG2 and RG3 microcontroller pins. Since PIC32MX795F512L supports USB, jumpers are in USB position. Ethernet transceiver. This MCU card contains single-chip Ethernet physical (PHY) layer transceiver which provides additional Ethernet functionality to PIC32MX795F512L controller. 25MHz crystal oscillator. This crystal oscillator is connected to external Ethernet module.